1. Hiking from Stromness to Kirkwall, October 2000. In late 2000 I found myself in between jobs in the isolated Scottish outpost of Fort William. I was cold, fed up and bored, so it was something of a relief when a friend of mine got in touch to say he’d be coming to visit. It didn’t take us long to get out of Dodge. Throwing a tent and a couple of backpacks into the boot of his car, we sped off on a road trip through The Scottish Highlands. We stopped off here and there, failing to spot the Loch Ness monster, feasting on haggis and tatties, getting constantly rained on. Arriving at the dismal ghost town of Thurso, it was time to ditch the car and take the ferry over to Orkney for the main purpose of our visit: a fourteen-mile hike from the southwestern town of Stromness to the bright… err… lights of Kirkwall in the east. 2. 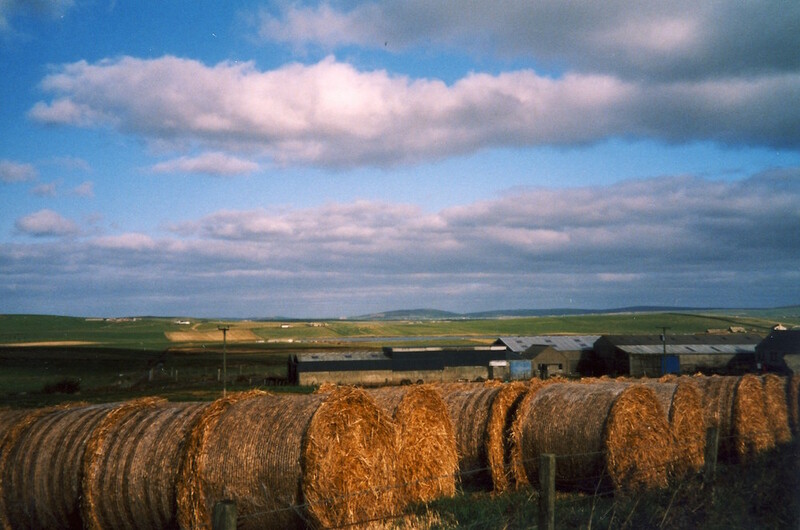 Somewhere between Stromness & Kirkwall, October 2000. Although undeniably crisp and chilly, the weather had really picked up and conditions were about as good as could be expected. This was one of several farms we passed along the way, the even landscape a handsome stretch of green-brown as far as the eye could see. 3. 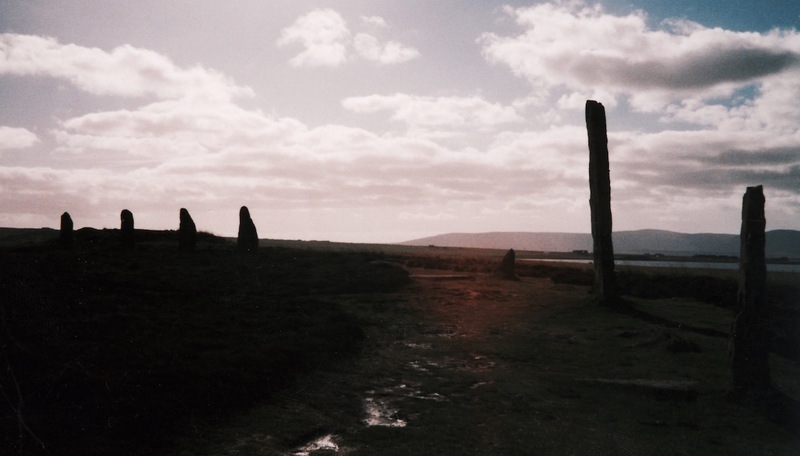 Ring of Brodgar, October 2001. This imposing Neolithic monument stands six miles northeast of Stromness, said by some to be among the oldest henge sites in The British Isles. With gorgeous views across Stenness and Harray lochs, we were happy to hang out for a bit before getting back on the trail. 4. 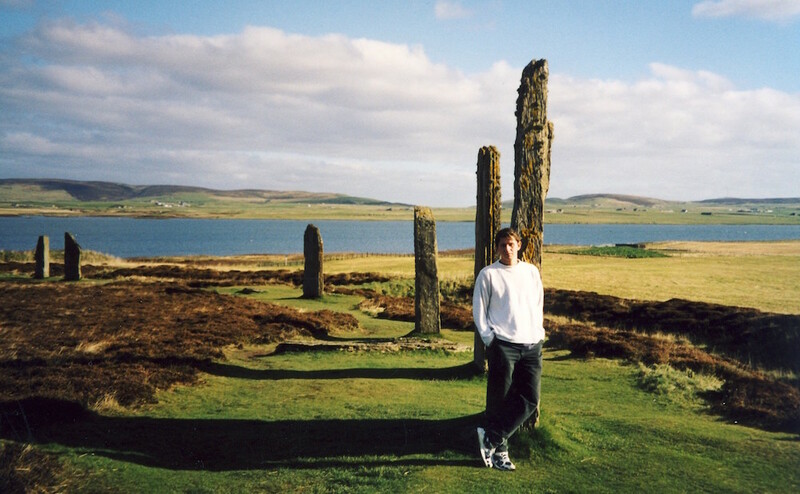 Ring of Brodgar, October 2000. Hanging out ‘‘for a bit’’ turned out to be longer than expected! In fact, it took a rapidly approaching sunset to remind us we should probably be back on our way before we found ourselves engulfed in darkness. 5. Hitchhiking, October 2000. A quarter way through our trek back to Stromness the following day and we began to tire of our little adventure, more through boredom than actual physical exhaustion. To amuse ourselves, we made a bet with each other to see who could successfully hitch a lift. In the end barely half a dozen cars passed us, and those that did simply whizzed by, paying us not a scrap of attention. I’m guessing we lacked the necessary attributes to be of any interest. 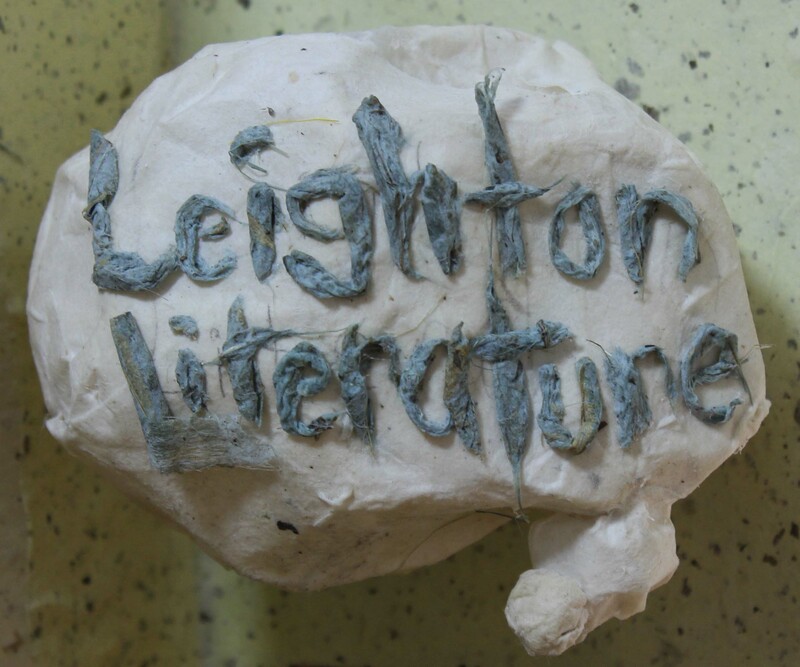 Like this? Then check out my other 5s from around Scotland.